Out of all the adjectives my children could pick to describe me several years ago, I don’t think “fun” would have been high on that list. I’ve said all of these phrases at one time or another to my kids. Out of context, they are understandably normal things a mother would say to her children to redirect them to pay attention or begin a task they’ve been asked to do. However, in my haste to maintain order and discipline, I frequently ended up putting the kibosh on their joy. I believed that efficiency was the highest priority in my homemaking, so I became a multitasking queen. And it didn’t leave any room for joy in our home, or in my heart. When you’re trying to get too many things done all at once, you aren’t fully present with your children. As a type A personality, I’ve always been a doer and perfectionist. It just doesn’t come naturally for me to set aside the housework, laundry, and dishes to go play with my kids. Even when I did join in the fun, my mind was focused on the stuff that wasn’t being accomplished. I would be distracted and they wouldn’t get my full attention. If I was in another room trying to crank out simultaneous tasks, I couldn’t truly engage with them when they asked me a question, or showed me something they had drawn or built. I had gotten into the bad habit of seeing how much I could get done during any given amount of time so while I waited for my kids to get ready, I would begin another task. Then inevitably one of them would need help, and everything took longer than if I had just been patient in the first place. I was kind of like a spinning top, bouncing from one unfinished activity to another. That would lead to me being cranky and short-tempered. This was because I essentially saw my to-do list as more important. But twenty years from now, my children won’t remember a clean and orderly house; they will remember the quality time I spent with them. If you’re focused on the quantity of time something takes, you end up choosing efficiency over relationship. My quest for productivity didn’t allow much room for my kids to just be kids. I perceived their loud shrieks and the running around and the plain, harmless kid antics as situations beginning to get out of control. Their use of art supplies, along with the daily pilgrimage half their toys make to the living room, were usually seen as just another mess to clean up instead of a wonderful opportunity for them to be creative and imaginative (oh, and also maybe learn). Too often I found more satisfaction in an empty laundry basket or a clean floor than watching my children’s creativity and personalities unfold. When you’ve battled anxiety all your life like I have, you believe the lie that joy is a luxury. If I’m “goofing off” and being careless, things aren’t getting done. I always thought this verse meant that knowing the Lord leads to having a feeling of joy. In one sense, that’s true. But what it really means is that the joy that comes from God Himself will uphold us through difficulties and everyday struggles. God is not a heavenly taskmaster; He is our heavenly Father. One who enjoys His children, and wants to share His joy with them. 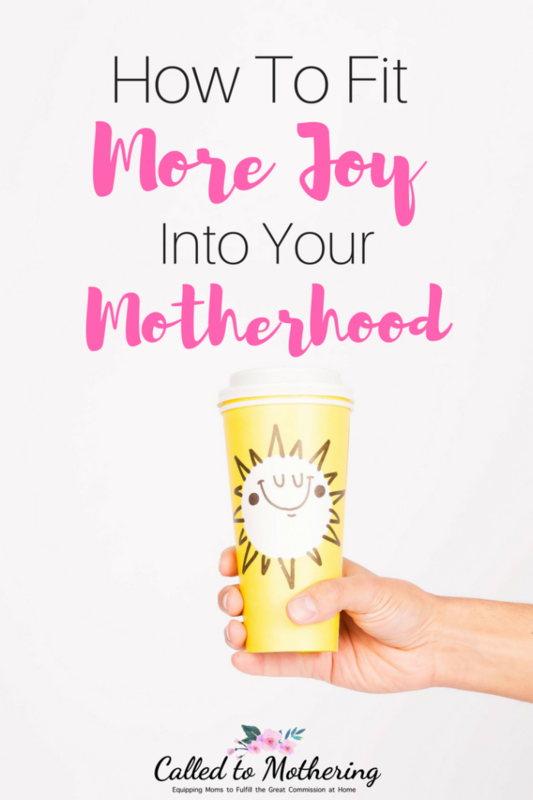 Without this perspective, I lose sight of the truth that a big part of my job as a mother is to participate in my kids’ joy. They don’t only need a teacher, or a caregiver, but also a playmate. Notice I didn’t say “friend”. I firmly believe that kids do not benefit when their parents are more concerned with being their buddy than an authority figure they should respect and obey. However, I also think there is enormous benefit when we as moms put down the task at hand and play with our kids. It may seem frivolous. An interruption in my never ending to-do list. But this play is my work. The work given to me by a loving Father, in whose presence there is fullness of joy. 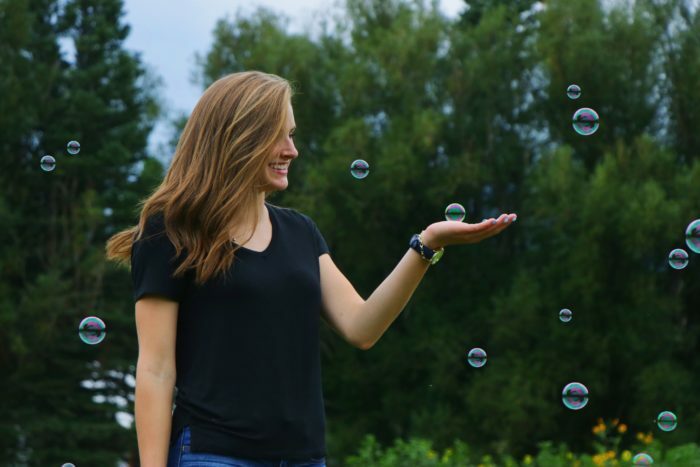 As I put my kids to bed the other night, God gently reminded me that joy also comes in small ways, times we could easily pass over if we’re too busy “doing”. Like that few extra minutes to study my daughter’s features while she lay among her pink sheets, stuffed animals and dolls, and breathing in her sweet smell as I gave her a goodnight kiss. Or seeing my son sneak in some reading of a new library book, which then prompted a conversation about a show we used to watch together that it reminded him of. Recognizing and appreciating those small moments of joy can open the door wider for experiencing bigger ones. Maybe that dose of joy will also make today’s to-do list seem less important.